While a newcomer to the industry, Taku Inoue has left quite an impression since joining Bandai Namco three years ago. In this short space of time, he has worked on ten game releases. He has brought fresh electronic stylings to the Tekken and Ridge Racers series, offered several great tributes to the classics, and even led the scores for two major titles, Go Vacation and Touch My Katamari. In this interview, Inoue shares his journey to becoming a game composer and reflects on what it is like to work for one of gaming’s oldest companies. He discusses the inspirations behind his game scores in some detail, offering track-by-track insights into several of his major works. A great interview for anyone wanting an insight into game audio production from fresh eyes. Chris: Taku Inoue, we appreciate you taking the time to talk to us today. First of all, we would be interested to learn about your background. 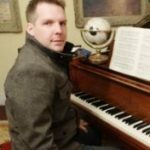 What experiences and education led you towards becoming a professional game composer? Taku Inoue: I’m very grateful that you decided to interview a rookie such as myself. Pleased to meet you. At college I studied Portuguese, and during graduate school, I specialized in informatics while also deepening my knowledge of Portuguese. As a result, I don’t really have any academic musical background. I actually started studying music because of my parents. From a young age, my mother taught me to play the piano, although I lost interest in when I turned ten years old. Instead I started learning the guitar through my father. At the same time, they brought a new PC home, with some very simple music software bundled in it. I really enjoyed trying to make out the scores of my favorite bands in it, so I guess doing that allowed me to acquire techniques and learn about musical theory without me even noticing. Chris: When did you start enjoying electronic music? Taku Inoue: My first encounter with electronic music was when I had a trial listen of Bjork’s Telegramat Tower Records, back when I was 14 years old. Given that this album had very large amounts of drum’n’bass, big beat, trip-hop, and cutting-edge club music, it left quite an impact on me. A year later, I had the chance to spend one year in Belgium, and given it was such a pleasure to be in the capital of electronic music, I began creating music of my own. During my college days, I founded the electronic music band applebonker. Given I managed to win a few music composition contests, I was able to begin not only making remixes of the music composed or produced by other artists, but also to begin being a composer myself while I continued with my school work. I began working for Namco right after I graduated from college. Chris: As you mentioned, you were active as a programmer and multi-instrumentalist for the unit applebonker even before joining Namco Bandai. Could you tell us more about this unit and its aims? How would you describe its electronically-oriented stylings? Taku Inoue: Back in 2003, I founded the unit applebonker along with four college friends that also loved electronic music. Aside from releasing sound sources, we made remixes of artists such UNICORN, Nami Tamaki, Diggy-Mo’ and noelle. We also produced original music, composed melodies for commercials, and participated in live events. In 2008, we even had the chance of performing in the greatest live music party in Japan: “WIRE”. We don’t really have a clear aim. As for our musical stylings, we don’t really adhere to a style in particular. We didn’t really form this band with the intention of making money through it; rather, we made it just because we wanted to, so we everything at our own pace. We don’t exclusively make electronic music though and actually make music in a large variety of styles — we even make vocal tracks that closely resemble pop music. In that regard, it’s very similar to my own work at Namco. Chris: You joined the sound team of Namco Bandai in 2009 and, in just three years, have made quite an impact at the company. What drew you towards becoming a game composer and joining this company? Were you not interested in pursuing band activities on a full-time basis? Taku Inoue: As I mentioned, the four members of applebonker don’t consider our band activities as work in itself. 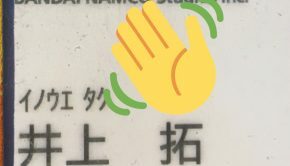 Therefore, when I was searching for employment, I intended to enter a company where my academic background would be useful. However, when I thought about it, I realized I might have been able to get a music composition job just from using my skills and connections to the max. As a result, I sent a demo tape to the company Bandai Namco, which made my favorite game of all time:Katamari Damacy. Soon after that, I was employed by them as a full-time sound creator. I basically gave an immediate reply to their offer. At Bandai Namco, I feel I have a wonderful workplace: one where both stability and stimulus can coexist without problems. That was something I’d have thought as impossible back if I worked full time for a band. Bandai Namco has had an impact on me greater than everything else, and it has continued to give me many wonderful work opportunities. Chris: Interestingly, your first released work was the acclaimed Pac-Man Championship Edition DX. How did you approach this reboot of a classic series? Were you familiar with, or inspired by, the sound of the original Pac-Man and other Namco classics? Take Inoue: At Namco, there are differing grades of expectations placed on each game from the start of their development to their release. Actually speaking, Pac-Man Championship Edition DX wasn’t my first role as a composer. My first true work there was the song for the GPS screen of Noby Noby Boyfor iPhone (“Nobytronic March”), which Yuu Miyake asked me to make. I have very strong feelings for that particular piece. As for Pac-Man Championship Edition DX, I was very glad that I could breathe new life into a classic title such as this. 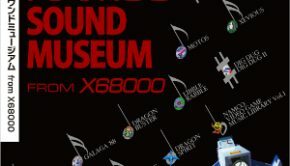 When I played Namco Museum during my junior high school years, I tried the emulate the scores from games such as Pac-Man, Dig-Dug, and Pole Position at home, so I was very familiar with the sound of Namco’s old games. Concerning the work on the music itself, it was quite hard. While I made “PAC AVENUE” by using thePac-Mania melody in a minimal techno style, the final track ended up being a different version. A piece I made called “BPM is Too Slow” was rejected when I showed it to the director for evaluation, but I managed to still put it into the game as the main menu theme, “Entrance”. It might sound ironic now, but that track was chosen as “Best Original Song of 2010” by a certain large music site. I felt extremely proud when I heard that. Chris: After this, you took major roles on the Ridge Racer and Tekken franchises. It is rare that industry newcomers become involved in the music for these series — after all, they’ve both been dominated by the same veterans since the 1990s. Why do you think you were selected to be involved in such franchises? How well do you feel you integrated? 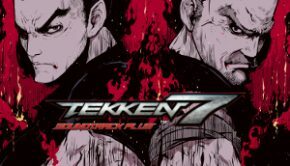 Taku Inoue: Regarding Ridge Racer and Tekken, I was very glad to be so lucky to work in them, but at the same time, I was under a lot of pressure because of the great number of fans that both titles have around the world. I actually received lots of harsh criticisms for the songs I made for these games, but I also steadily gained the respect of my seniors, and as one of the younger members, I continue trying to insufflate new life into these games. I was very lucky to be given such a position. Being youthful can add fresh ideas to a project, though I think there might be other reasons why I was selected. Chris: Many of your tracks for these franchises explore unique electronic stylings. How would you compare such stylings to those in your applebonker works? Did you have as much freedom when creating these tracks or were there in-game or technological restrictions? Taku Inoue: When it comes to making music for a game, there are points where it completely contrasts to the music I make for my personal life and I have to keep the desired atmosphere of the game at all times when writing. Using my own works as an example, in Ridge Racer I have to keep on mind the [rhythm], [funkiness], and [bounciness] as I make the music for it, while for Tekken I have to emphasise the [groove], [heaviness], and [aggressiveness]. However, while there are some restrictions because of the technical limits of the consoles, there are next to no approaches that I’m forbidden to take. Use the BPM to its utmost, or deciding how long a song should be… however, these aren’t too great problems to me, as my feelings for making music at Bandai Namco are exactly the same as the ones I have for making music for my personal life. I have no experience when it comes to working in other game companies, so I can’t really make any comparisons, but Bandai Namco gives me a lot of freedom. The equipment I need for making anything is left to my personal discretion, and I’m completely free to choose the approach I wish for it. Of course, I have to abide decisions taken by the director, which are every bit as severe as the level of freedom I have at work, but that’s still worth doing to me, given how much I enjoy working for them. Chris: Your Ridge Racer tracks include “Nitro Ridge Now”, “Planet”, and “Racer’s Delight”. Could you go more in-depth about your composing process and various inspirations for such tracks? Taku Inoue: As mentioned previously, I have to keep in mind the [rhythm], [funkiness], and [bounciness] whenever I make the music for Ridge Racer. These keywords, combined with the screenshots for the stages where the music will be used, are what allows me to expand my initial image of what I’ll make. Therefore, normally I start by just making a rhythm track of four to eight bars and then keep looping it, and I begin making the music from there. Even if the track is just made from four simple beats, I continue delicately structuring it until all gaps in the sound are covered until the instant in which that sole rhythm track instills exciting feelings in me. Once I get to that step, I begin thinking up the key phrases for the piece. This can take a rather long amount of time, due to having to go with a trial-and-error approach several times, but I gradually manage to make them through this approach. If I manage to get there quickly, I stop making the piece for that day, and then I listen to it the next day once more with refreshed feelings. If at that moment I think “It’s cool!”, I begin developing the rest of the piece from that particular phrase, but if I think it lacks something, I have to reconsider that key part once more. This work is extremely exhausting mentally and requires a lot of time. After I’ve decided on the main phrases, I begin working in developing them further, which is the most fun part of the work. I feel like a child choosing which colors, shapes, and materials his clothes will be made from. “Nitro Right Now” was made around 2011, and I listened quite a bit to genres like Baile Funk and Fidget House. I listened to Chillwave and Skweee for “Planet”, while giving a lot of attention to Jukes for “Racer’s Delight”. So these genres are the ones that inspired my music the most. Chris: You’ve also participated in several casual games, including Go Vacation and Family Party: Fitness Fun. How did you handle sound effects and music creation on such titles? Was it still possible to express your individuality? Taku Inoue: As much as I like electronic music, given I was introduced to music through playing musical instruments because of the influence of my parents, I’ve always liked giving an organic approach to music. Go Vacation was one of the games in which I worked to my fullest to make the music, and it was a job I really enjoyed. To produce the music, I utilized the three acoustic guitars I had at home many times and also asked Okubo-san to play the ukulele. This was the very first time I was allowed to make almost all the soundtrack for an entire game, which truly made it truly fun. I feel every bit as proud of the my work for Go Vacation as I do for my contributions to both Ridge Racer and Tekken. As for Family Party: Fitness Fun, I was in charge of making the sound effects, but that’s other kind of work I truly like and thus it was a pretty fun job too. I had some experience previously, because I also was in charge of making a few of the sound effects for Noby Noby Boy. Nevertheless, I had to pay a lot of attention, as it was one of the most important elements for establishing the game’s atmosphere, more or less on the same level as music itself. Since this was a project in which I had the chance to insufflate life into the game’s characters, I felt truly attracted to do it. Chris: Most recently, you took over the role of sound director for Touch My Katamari on the PlayStation Vita. Could you share your experiences taking charge of this series’ music? Was it intimidating to take on such responsibilities — especially from Yuu Miyake — or did you embrace the creative freedom? Taku Inoue: To start, both Katamari Damacy and its sound director, Yuu Miyake-san, left quite a large impression on me, so it wouldn’t be an exaggeration to say that I began working at Bandai Namco because of them. 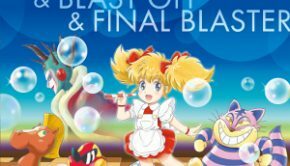 Therefore, after I began working there, Miyake-san taught me all sorts of things and we both worked together on the score for Noby Noby Boy. So when I was appointed as the sound director for a new Katamari game, I was extremely happy, but at the same time I knew I’d be under a lot of pressure. However, Miyake-san just gave me an order: “Make the music of Katamari newer and fresher”, as he really hated repeating the same ideas over and over. This made me realize it’d be all right to make the music for Touch My Katamari with my own original feel, and so after we started the project, I could work on it alongside the directors and creators without any problems. Chris: The soundtrack to Touch My Katamari blends homages and arrangements of previous titles for the series with a range of bold new ideas. How did you mediate this balance? Which additions are you particularly proud of? Taku Inoue: First, the “new ideas” were an essential element of it, so I was very proactive in incorporating ideas that had never been used in any Katamari Damacy games. For the opening theme, I used modern music blended with old-fashioned jazz similar to the type made in the ’50s. Even in the staff roll BGM, “Across The Katamari”, I used a pop style that had never been used in this game series. However, given that Katamary Damacy is a series, I did acknowledge that there were many fans that had a firmly rooted love for the music of the past games, and as the current game’s sound director, I felt that I had to take upon myself the challenge of making remixes of the music from the past games. While offering remixes that covered all of the past games, I tried balancing these with new compositions so they had more or less equal proportions in the game. However, there were quite a few things which I fussed over, such whether to use phrases from “Katamari Nah-Nah”, which was a piece used from the very beginning of the series. This troubled me quite a bit, but I thought avoiding it would be the best route I could take, as the game was being produced to have a brand-new feeling. Said melody was still included as part of the remixes from the previous games. I also included it in the jazz arrangement of “Katamari On The Rocks” in the DLC as fan-service, but outside of that, I didn’t use that melody even once. Chris: Beyond your full-time job, you also continue to be active as a member of applebonker and The Reverb. Could you tell us about the recent accomplishments with these units? Has it been interesting to work with the new vocal unit The Reverb? Chris: Many thanks for talking to us today, Taku Inoue. Is there anything else you would like to say about your game and original works? Do you have any message for your fans around the world? Taku Inoue: On September 13, the commercial game Tekken Tag Tournament 2 was released. Given that we took the decision of increasing the number of stages and modes, it’ll also have a lot of new BGM. I feel the game was really good, enough for me to completely finish it, so please take time to enjoy it! While I’m a 29-year-old rookie right now, I’m steadily gaining the respect of my seniors and rapidly trying new ideas that only the new generations could come up with. Please continue supporting me! Thank you for your attention. Posted on October 1, 2012 by Chris Greening. Last modified on February 26, 2014.